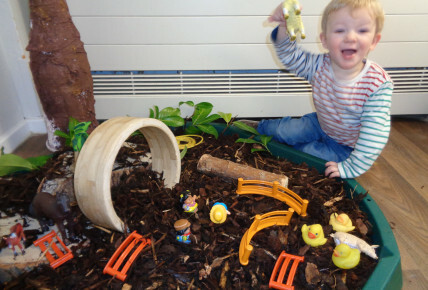 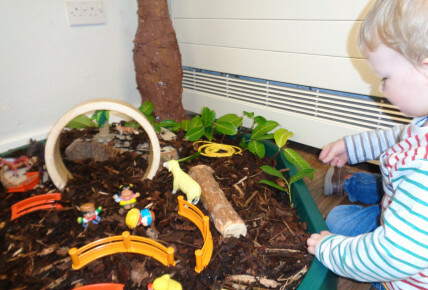 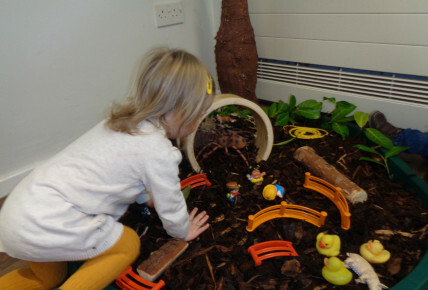 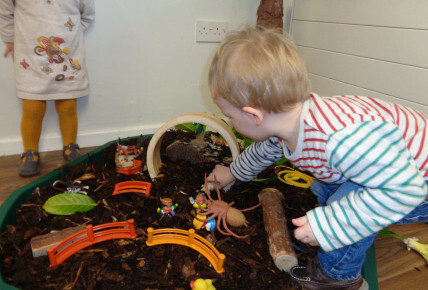 The 1-2's class had lots of fun creating and exploring their new environment. 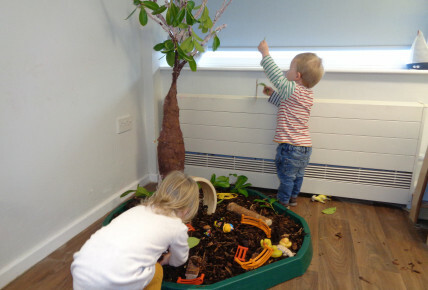 The children have collected leaves from the nursery garden to create a lovely tree and bark has been added with lots of different creepy crawlies for the children to find. 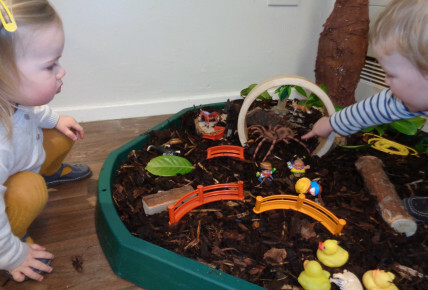 The children had lots of fun walking across the bark and hunting for different insects.